For as long as I can remember, I wanted to go to Japan to see the sakura (cherry blossoms). Since we live practically next door in Taiwan, my wife and I finally decided to make this dream a reality. 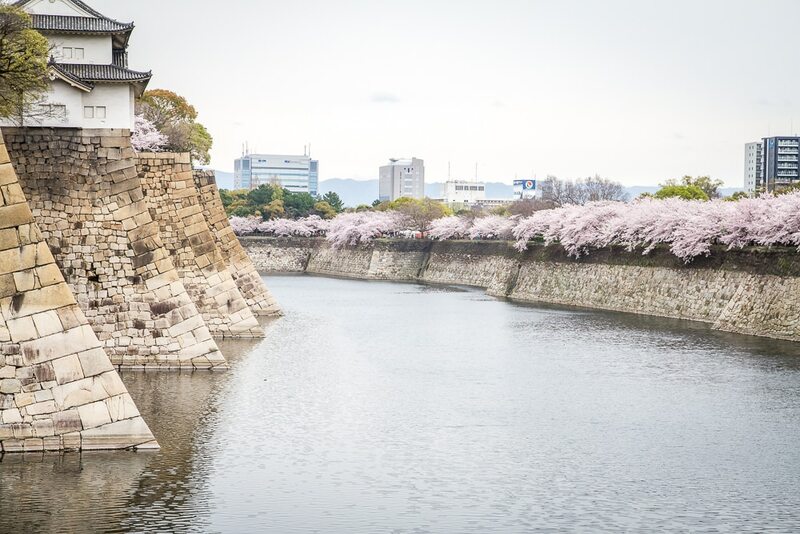 Having already witnessed Kyoto’s stunning fall foliage, we decided an Osaka cherry blossoms experience had to be next on our list for our next trip from home in Taipei, Taiwan. 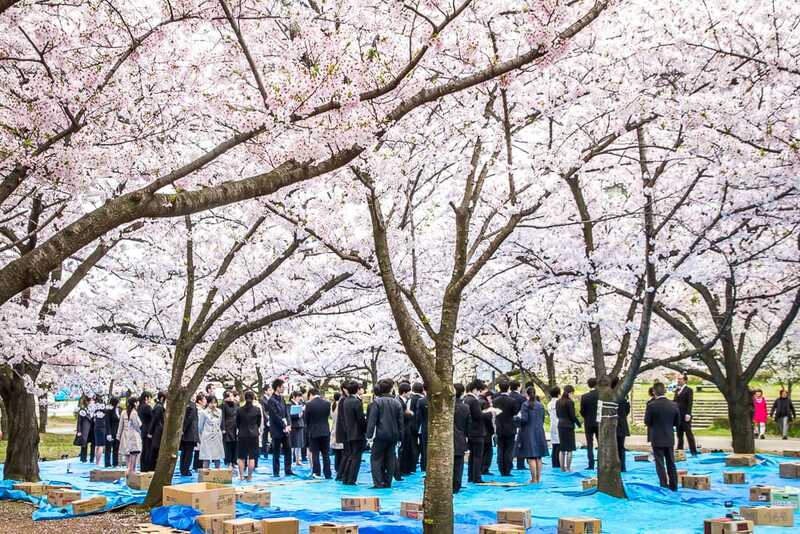 To be fair, there are countless incredible cherry blossom viewing (or hanami) spots across Japan. But once we started looking up where to see cherry blossoms in Osaka, we realized the city is really one of the best! For starters, Osaka is a major transportation hub and was very cheap for us to fly into. Second, the city has lots of interesting sights besides its excellent cherry blossom viewing spots. 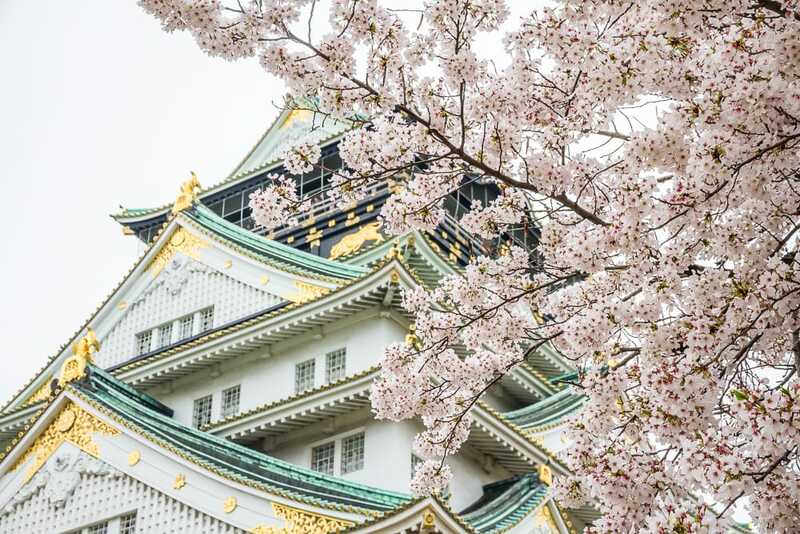 Last but not least, it’s a great home base for trips to other amazing places to see cherry blossoms around Osaka, which I’ll include at the end of the article. If you’re coming from Tokyo, you can book a bullet train with hotel drop off included here. For arrivals at the Kansai International Airport, make sure to book your train from the airport or a private car into Osaka before you arrive. You’ll can also reserve your ICOCA Card online, which is what everybody uses on the metro, trains, and buses in Osaka, Kyoto, and greater Kansai area, or consider getting a Kansai Thru Pass. 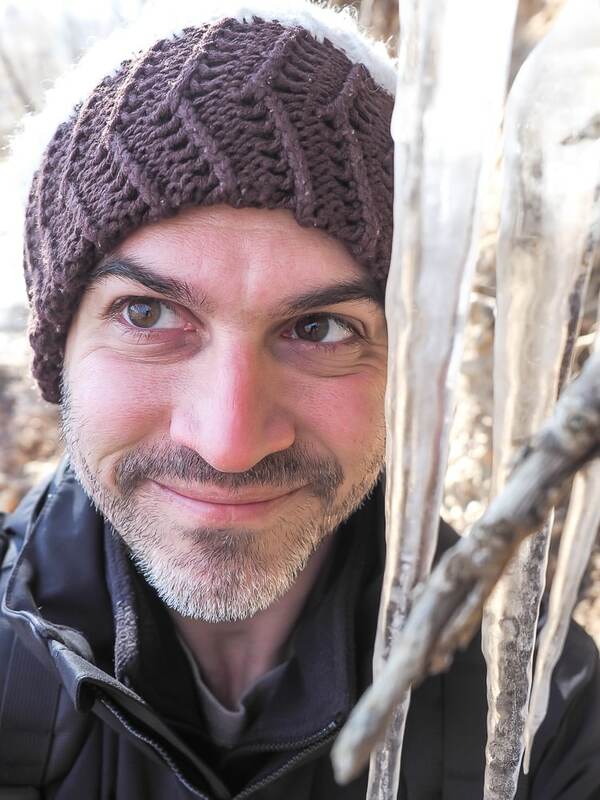 Would you rather trust a local to show you the best cherry blossom spots in Osaka? Then you can even book a local friend to show you around! Also be sure to check out my articles on best places to view Mount Fuji and things to do in Akihabara for tech lovers! 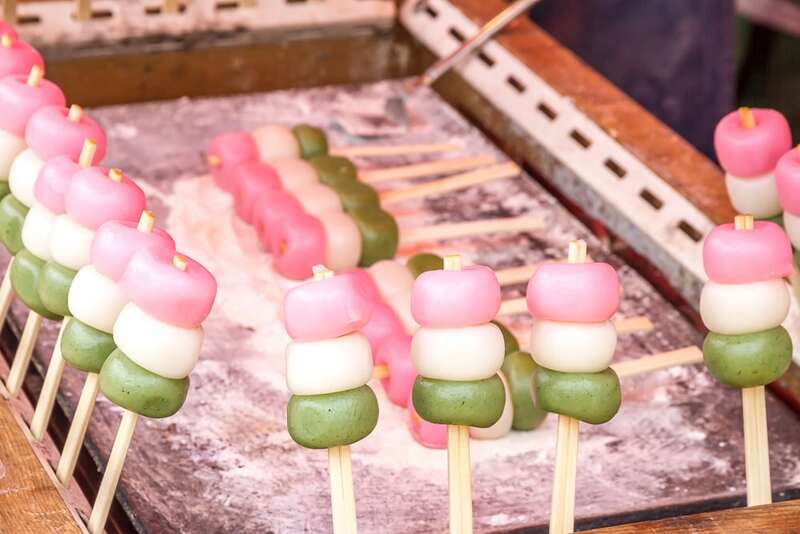 Make sure to try dango, or tri-colored mochi, the perfect hanami (sakura viewing) snack! It’s tough to plan a cherry-blossom viewing trip and book your flight to Japan when you don’t know exactly they will bloom every year. Fortunately, there are some websites with pretty accurate predictions. The longer you wait, the more accurate they will be, but also the prices of flights will continue to rise and hotels will fill up. 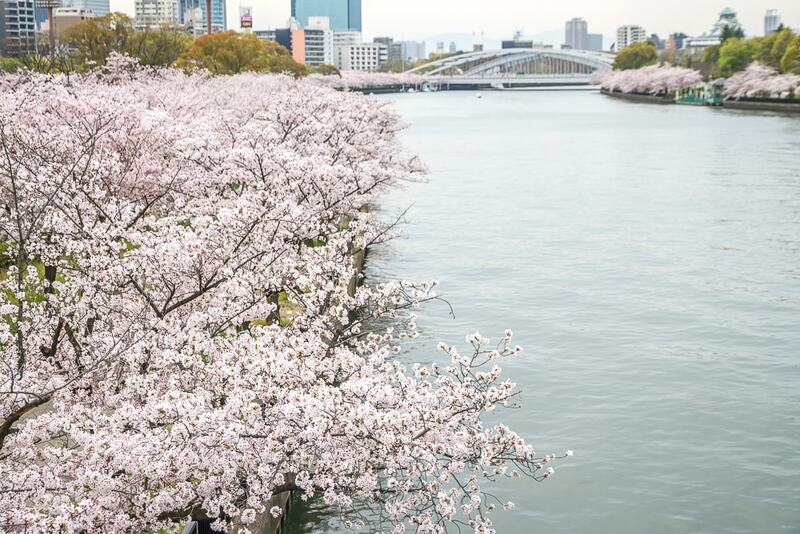 Typically, Osaka’s cherry blossoms begin to open in the last week of March and reach full bloom (or mankai) in the first week of April. By the second week, most of them have fallen off the trees. However, these dates can vary by up to a week on either end depending on the weather that year (warmer weather causes them to open earlier). 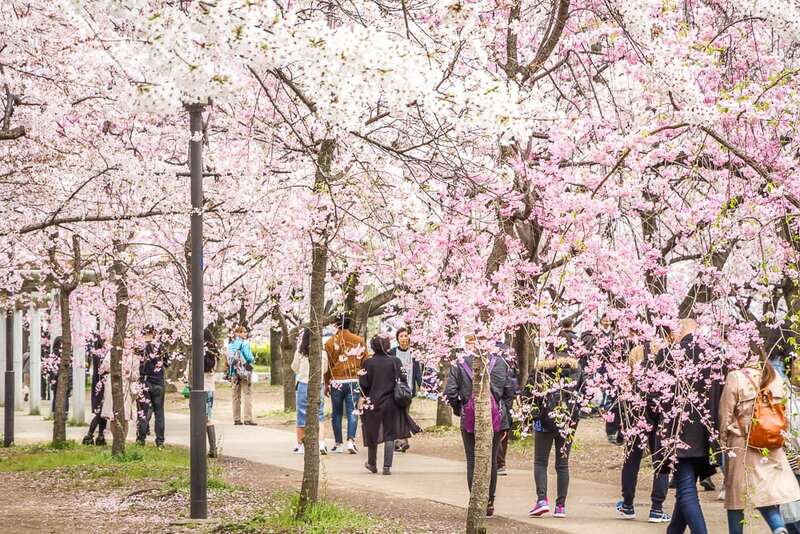 Here’s the 2019 cherry blossom forecast for Osaka and other parts of Japan. You won’t see this little shrine in the center of Osaka on other lists of “best Osaka cherry blossom viewing spots”, but it was one of our favorites, and I’m listing it first because it was the first one we went to. The shrine is located in the middle of Amerikamura, Osaka’s fashionable centre youth culture, and just a stone’s throw from popular Dotonbori and Shinsaibashi Shopping street. 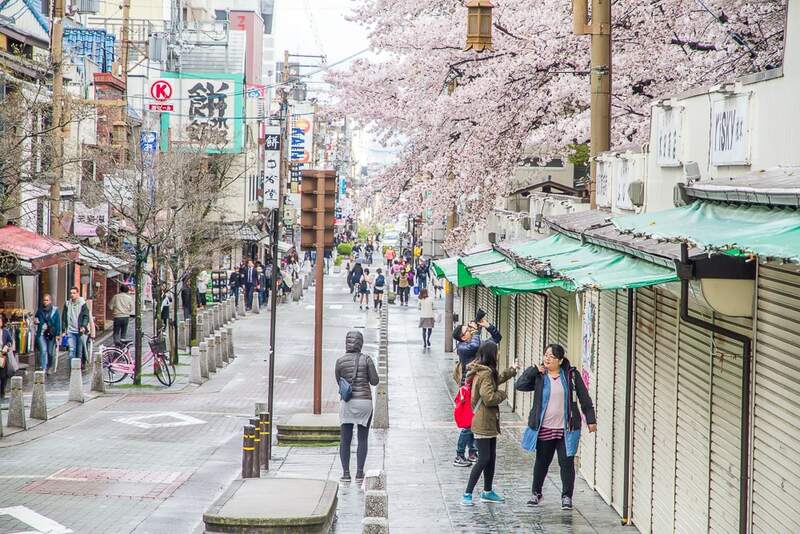 Besides its convenient location, Mitsuhachimangu was special for us simply because it was where we got our first glimpse of cherry blossoms in Osaka. I had actually wandered off from my wife and her brother, who were shopping on Shinsaibashi on the first day of our trip, to explore Amerikamura with my son. We stumbled upon Mitsuhachimangu by accident, and I was immediately entranced. 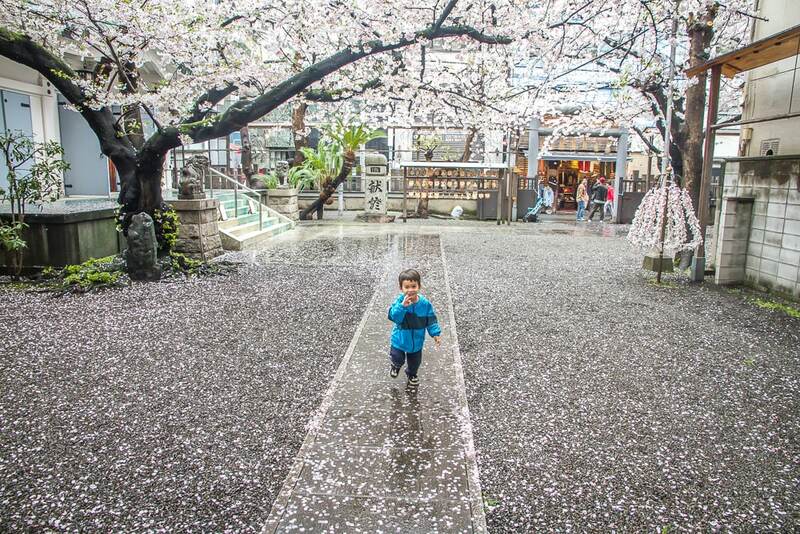 The cherry blossoms formed a canopy over the temple’s small courtyard, and fallen flower petals from recent rain beautifully decorated the cement floor. 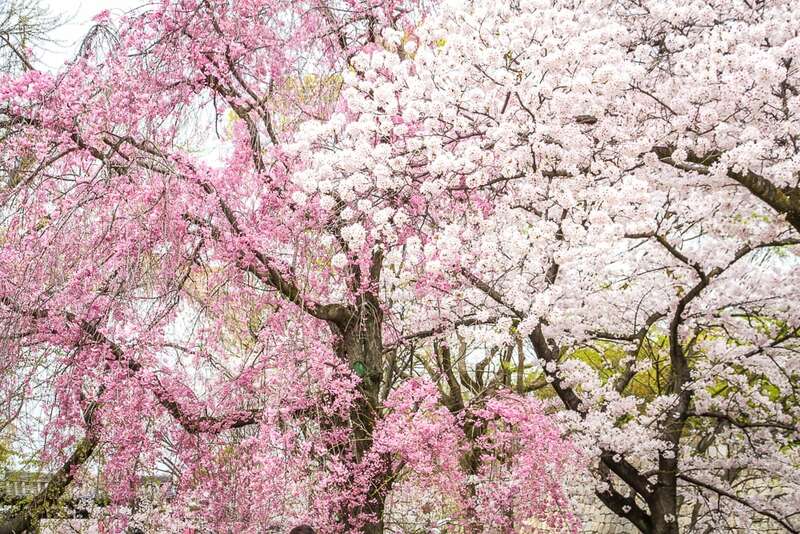 Seeing cherry blossoms in full bloom for the first time is an experience you never forget! If you are in the Dotonbori area (which I’m sure you will be when you visit Osaka), then I would suggest you make the short side trip to see this breathtaking little spot! I think Osaka Castle Park is arguably the best place in Osaka to see cherry blossoms. It doesn’t quite have the most cherry trees (it is said to have around 4000 cherry trees, while the next two entries around 5000 each). 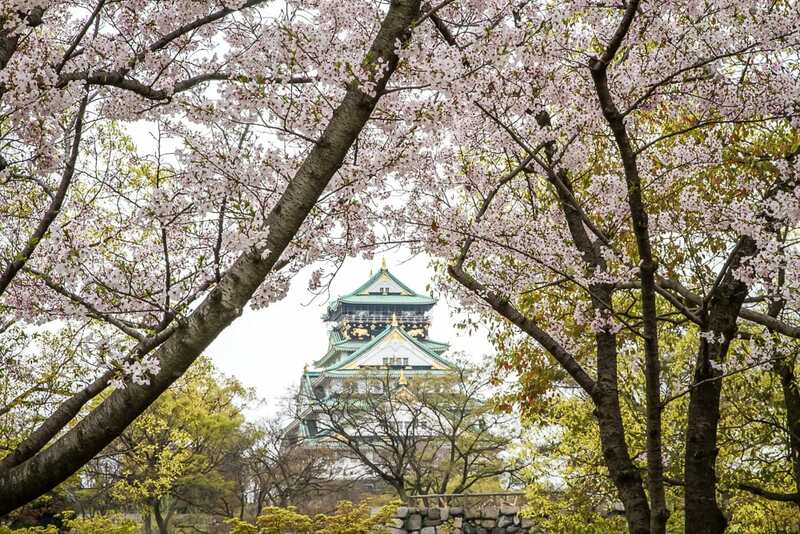 But what Osaka Castle Park does have is the most varied terrain, including magnificent moats, stone walls, shrines, and bridges, not to mention Osaka Castle itself, which forms an stunningly impressive backdrop for your cherry blossoms photos. We knew the park was large (105.6 hectares! ), but it was still even bigger than we expected. We spent about three hours there (hauling our two kids around), and we didn’t even enter the castle or see some parts of the park. Still, I can’t count how many times our breath was simply taken away. The streams of people in the park somehow didn’t even take away from the experience for us; you feel like you’re a part of a great flow of humans under an iridescent pink sky. Sea of people below a pink sky. I would really recommend setting aside a half day for the park, and walking all the way around the castle to appreciate it from all different angles. We found the enormous cluster of cherry trees running along the south end of the park especially impressive, and the huge gatherings of business people sitting on bright blue tarps under the trees was entertaining. Getting there: Take the Osaka subway (Chuo line or Tanimachi line) to Tanimachi 4-chrome Station or Osaka JR Loop line to Osakajokoen Station. Other lists of Osaka cherry blossom spots choose this as the number one best place in Osaka to see cherry blossoms. Indeed we found it very impressive, but it wasn’t quite #1 for me, because the view doesn’t change much as you go along. 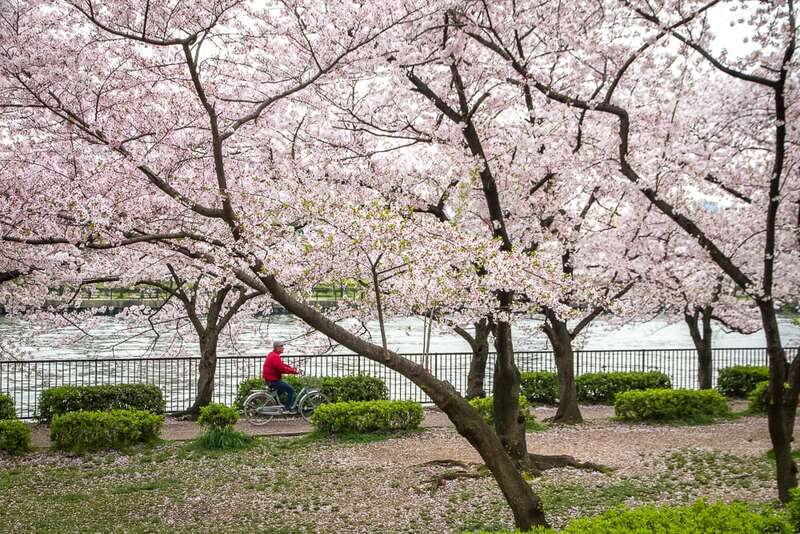 This riverside park boasts some 4500 cherry trees lining either side of the O River. 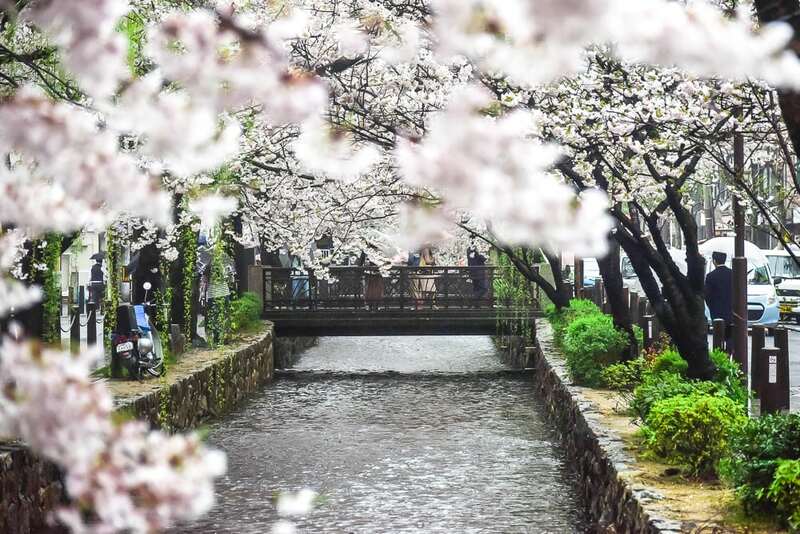 The most beautiful part of visiting is simply walking along the riverside path under a sheer canopy of cherry blossoms. It didn’t feel touristy at all when we visited (on a weekday); most of the people we passed were locals going for a jog or walking home from work, so in that regard it was a quieter and more intimate experience compared to Osaka Castle Park, so I can still see how some people would regard it as the best Osaka cherry blossoms spot. Getting there: There are several stations providing close access to the park, including Temmabashi Station on the Keihan Railway and Subway Tanimachi Line, Osakajo-kitazume Station on the JR Tozai Line, and Sakuranomiya Station on the JR Osaka Loop Line, so it depends where you are coming from in Osaka. If you walk south on the west bank of the river in Kema Sakuranomiya Park park, you will reach another very famous place to view cherry blossoms in Osaka: the Osaka Mint Bureau. And no, it’s not mints (the candy) like I first thought, but the head office of the government department responsible for minting coins. 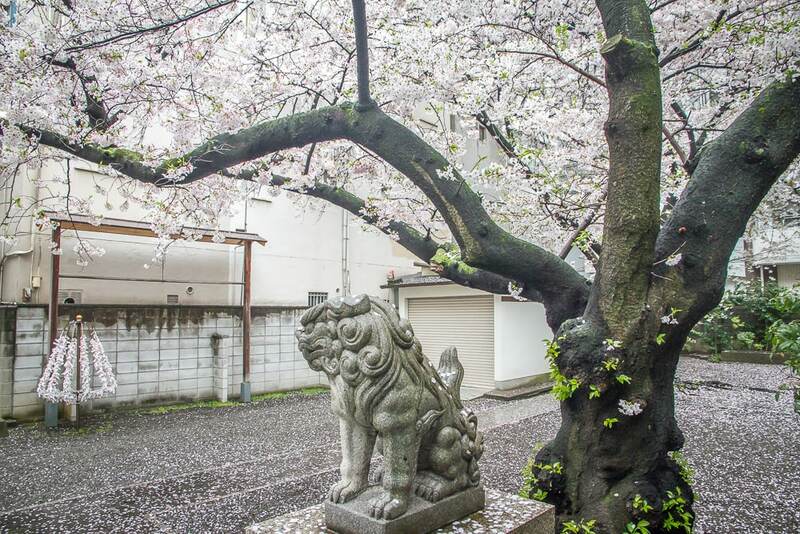 The grounds of the office feature a 560-meter long torinuke (sakura walkthrough) path that boasts a staggering 133 different kinds of sakura, include some rare breeds. The grounds are only open to the public during cherry blossom season, so be sure to check their website for the official opening dates. Picnicking under the trees is not allowed, and the grounds are open 10am to 9pm (weekdays) and 9am to 9pm (weekends). 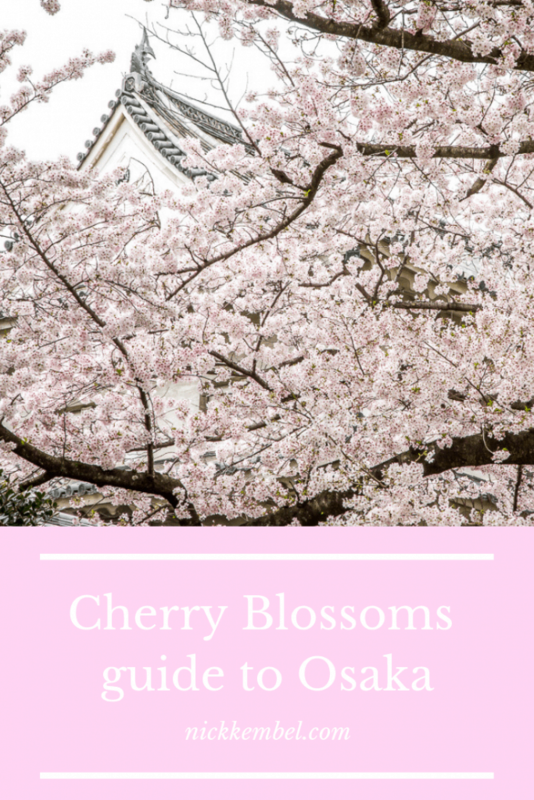 They cherry trees take on a different life after dark when lights are shined on them for yozakura (nighttime cherry blossom viewing), so make sure to include this in your plans when you are exploring Osaka at night! Getting there: Again there are several stations within a 10-15-minute walk, including Tenmabashi on the Tanimachi subway line or Keihan Honsen line, and Osaka Tenmangu or Osaka Kitazume on the JR Tozai line. It makes sense to start your visit at Kema Sakuranomiya Park, then continue on to Osaka mint bureau on foot, or the other way around. 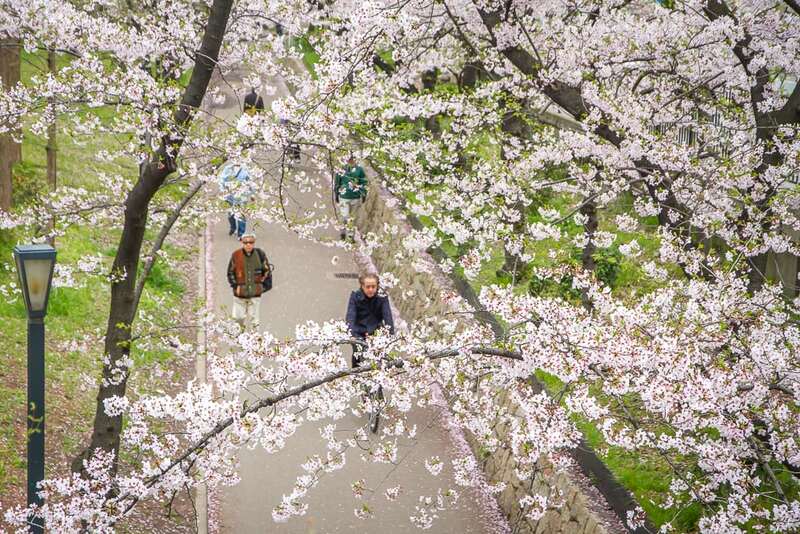 Two large parks to the north of the city are some of the best and most relaxed places to see cherry blossoms in Osaka. The first, Tsurumi Ryokuchi Park, was the site of the International Garden and Greenery Exposition 1990 and is a popular year-round spot for all kinds of flower viewing, not just cherry blossoms; it also boasts a central pond with ducks and birds, rice paddies, playground, swimming pool, sports center, tea house, bathhouse, tennis courts, one of the largest greenhouses in the world, the park’s iconic windmill, and more. Due to the wide variety of activities on offer, it makes for a great place to take kids, and is a popular spot for picnics or barbecues. There are hundreds of cherry trees in many areas of the park, including around the park and Japanese garden. Getting there: Take the Osaka Metro (Nagahori Tsurumi Ryokuchi Line) to Tsurumi Ryokuchi Station. It takes about 30 minutes to get there from central Osaka. 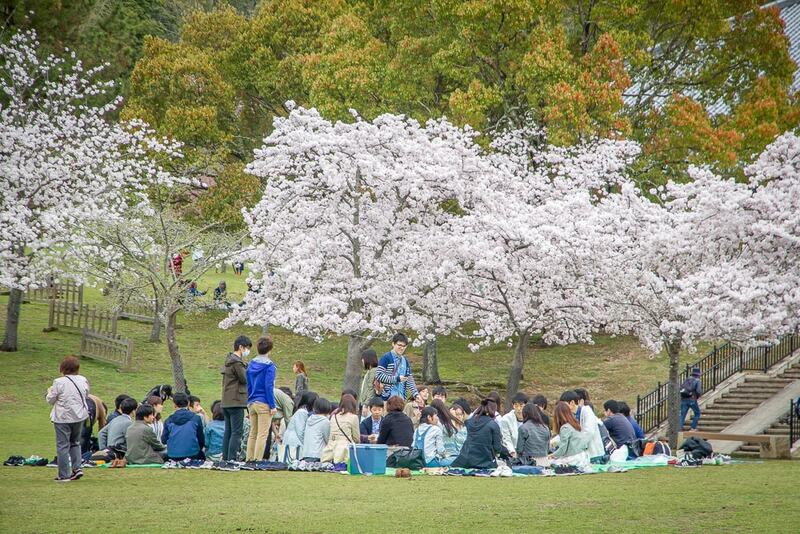 Locals enjoying hanami in the park. Expo 70 Commemorative Park is an even larger park (264 hectares! ), built for the 1970 Japan World Exposition. 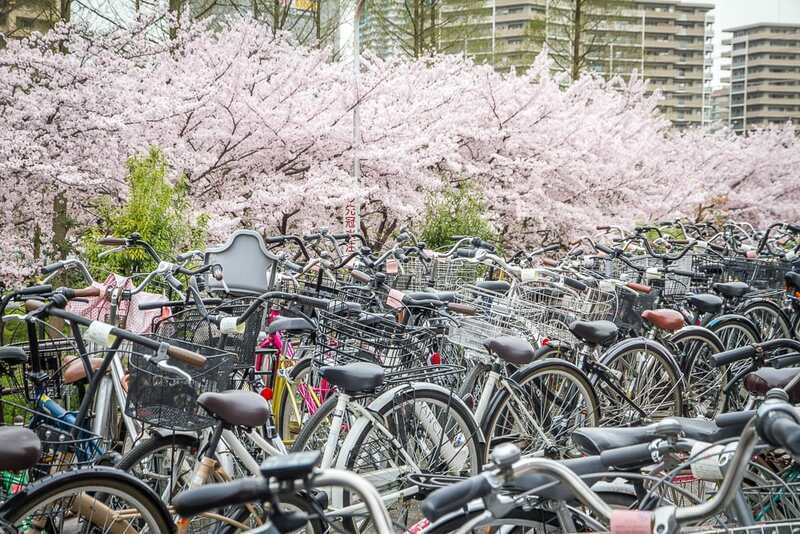 It features beautifully manicured landscapes and over 5000 cherry trees, making it one of the best spots in the greater Osaka region to view cherry blossoms. The 70-meter Tower of Sun is the park’s iconic feature, while the southeastern plazas have the highest concentration of cherry trees. The park is open 9:30am to 5pm and has a 250 yen entrance fee. Getting there: Take the Osaka Monorail to Banpaku-kinen-koen or Koen-Higashiguchi Stations. It takes 30-50 minutes to get there from central Osaka. Osaka actually makes a great base for visiting the greater Kansai region. If you are staying in Osaka for more than one or two days, then I would strongly recommend you make a day trip or two. There are some really incredible cherry blossom viewing spots within an hour or two of the city. 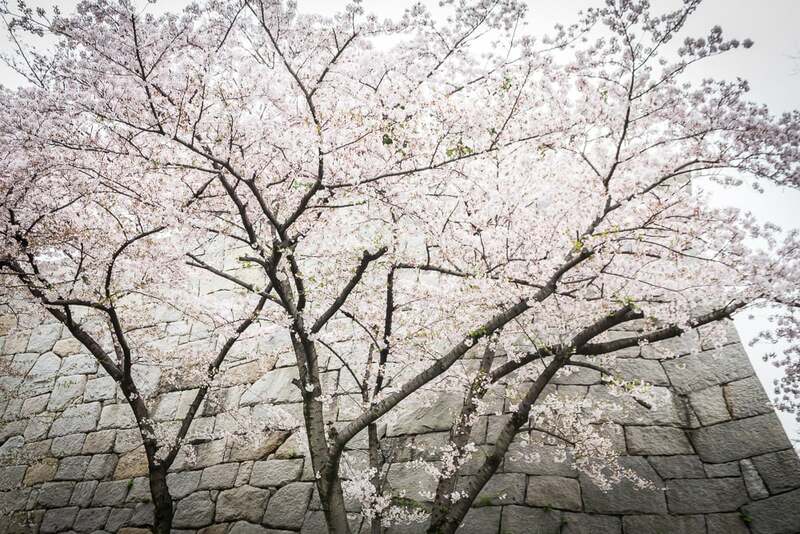 If you don’t want to figure out the transportation yourself, you can charter a private car to take you to the best cherry blossoms spots outside of Osaka. Kyoto is one of the most famous places in Japan to see cherry blossoms. This ancient city is one of my favorite places in the world; you really have to see it to believe it. If you are planning to visit Kyoto, check out my four-day Kyoto itinerary. Even if you are only planning to stay in Osaka, you should consider making a day trip to Kyoto. 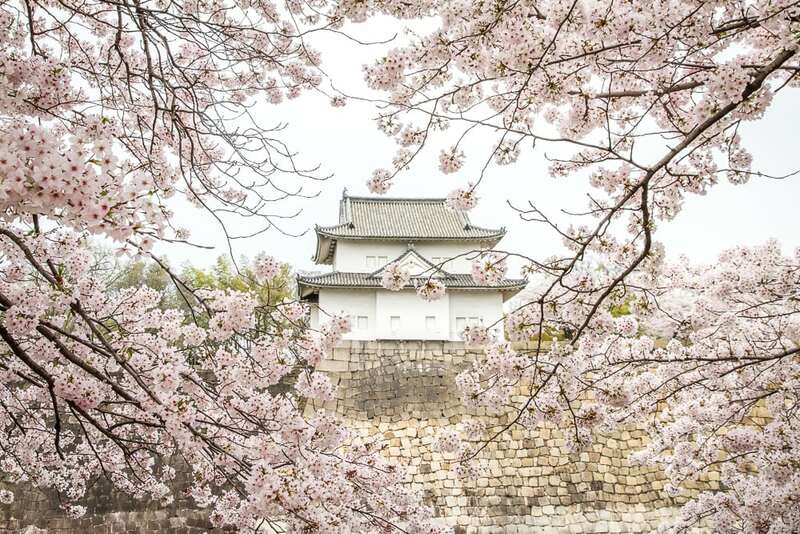 You can even squeeze in both Kyoto and Nara (see below) on this Kyoto and Nara day trip from Osaka, or spend more time viewing cherry blossoms in Kyoto on this Kyoto cherry blossom tour. 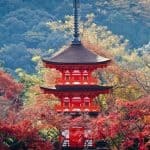 For a totally different feel, try this Kyoto cherry blossom night tour or Kyoto Skybus cherry blossom tour! 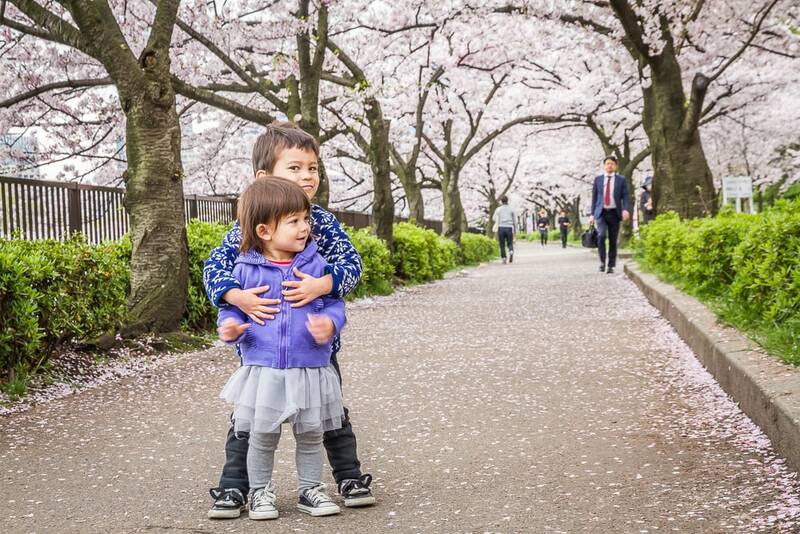 Here are some of the most famous cherry blossom spots in Kyoto, or you can view cherry blossoms from the romantic Sagano Old Train in Arashiyama (Kansai Airport pickup for tickets, or pick up from downtown Osaka here). 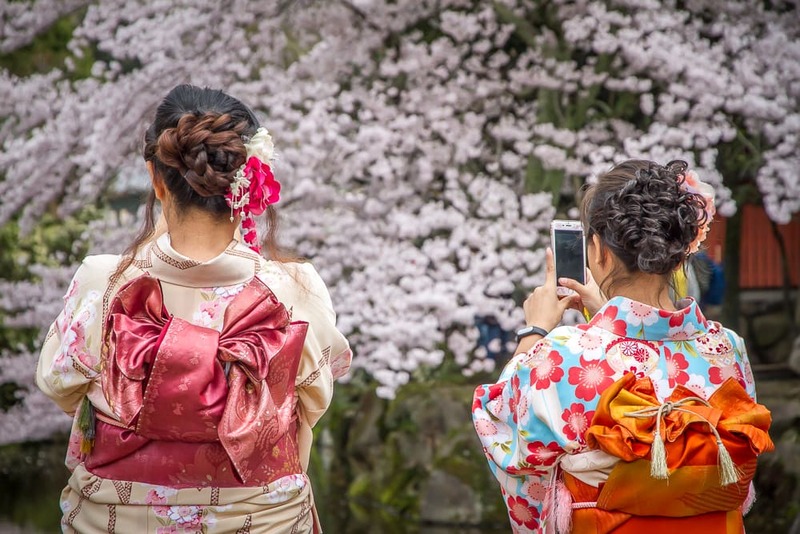 You can even rent a kimono to wear for a day for your cherry blossom photos and hire a professional photographer to take photos of you in the best cherry blossom spots in Kyoto. Getting there: There are many ways to get from Osaka to Kyoto depending on where you want to start and end your trip in each city. Here’s a detailed Osaka to Kyoto transportation guide. 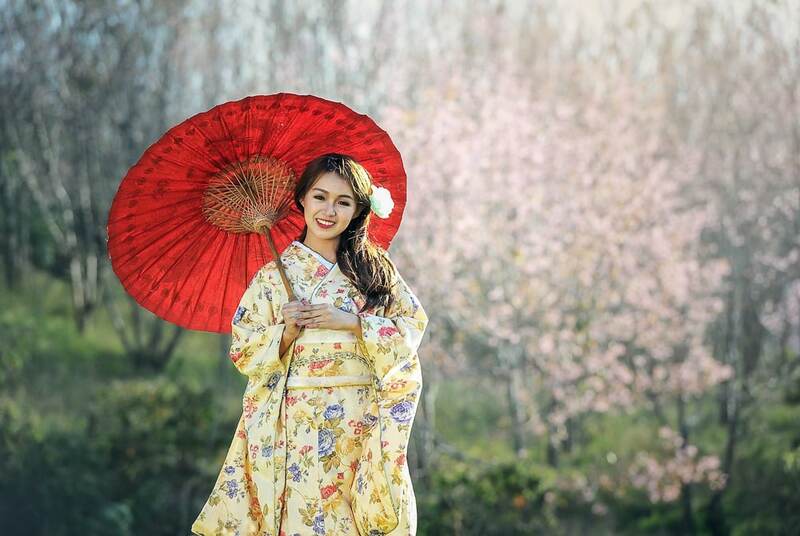 Rent a kimono and have your pics taken by a professional photographer! 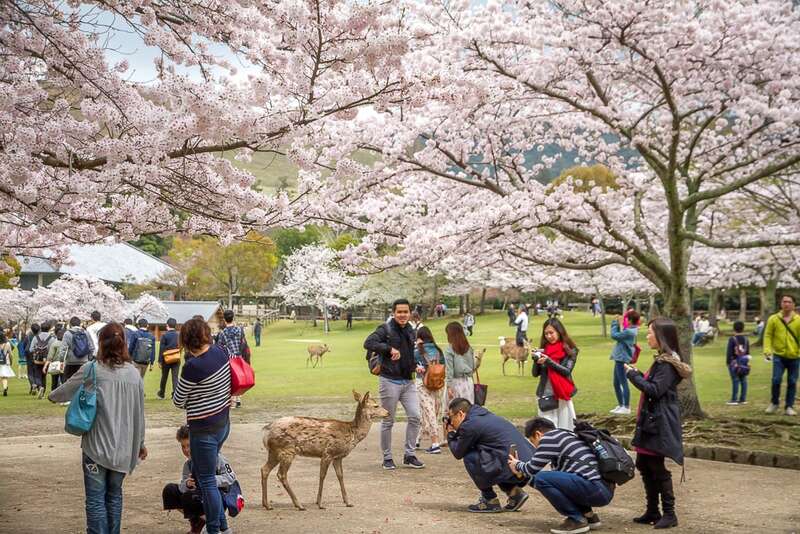 Nara was the day trip that we chose during our most recent Osaka cherry blossom trip. The biggest draw for us traveling with two young kids was to see the famous Nara deer. There are nearly 1200 of the somewhat tame creatures wandering around Nara Park, happy to accept cookies (baked and sold specifically for them) from visitors. Deer are regarded as messengers of the gods in Shintoism. The deer are trained to bow to get a deer cookie. 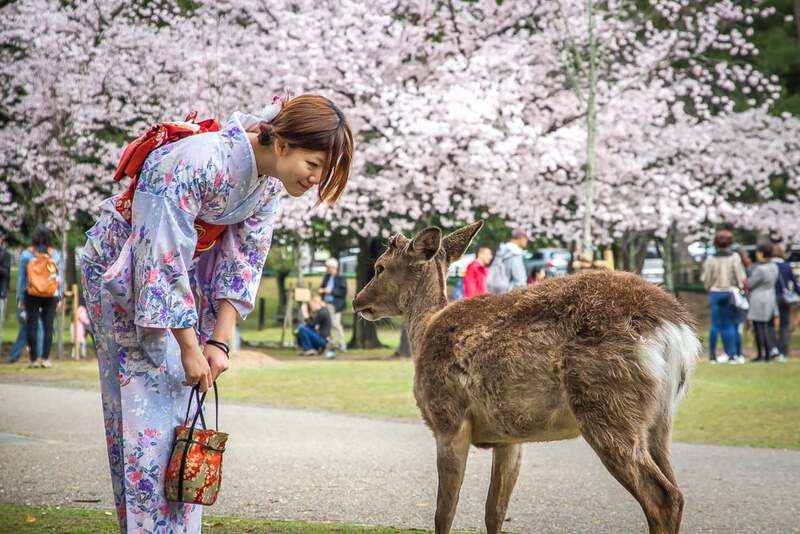 Rent a kimono in Nara here! Nara park is so enormous (660 hectares if you include all the temple grounds!) 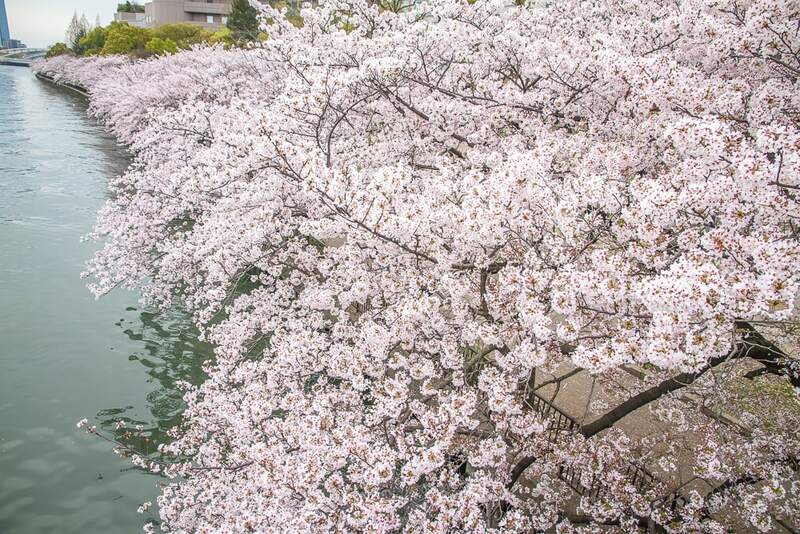 that it’s practically its own city, and there are nearly 2000 cherry trees in the park. 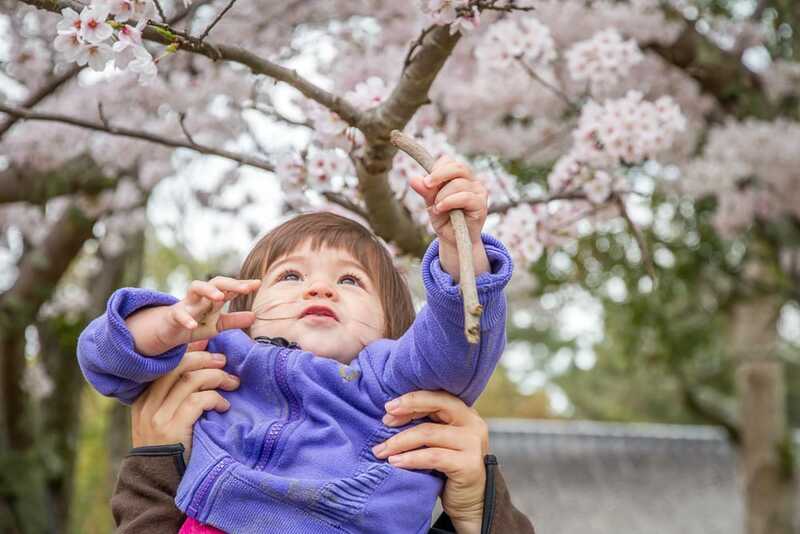 This was our first experience of visiting a large park with cherry trees in Japan, and it was really something special to see all the families and groups of people there for leisurely hanami. There are also a number of UNESCO World Heritage listed temples in the park, including Todai-ji, the world’s largest wooden building, which contains the world’s largest bronze Buddha statue. This is a popular day tour to Arashiyama & Nara from Osaka. You can also rent a kimono in Nara. Getting there: It is important to note that you should take the Kintetsu train line from Osaka to Kintetsu Nara station, which is right beside the park’s entrance, rather than the JR line to JR Nara station, which is further away. 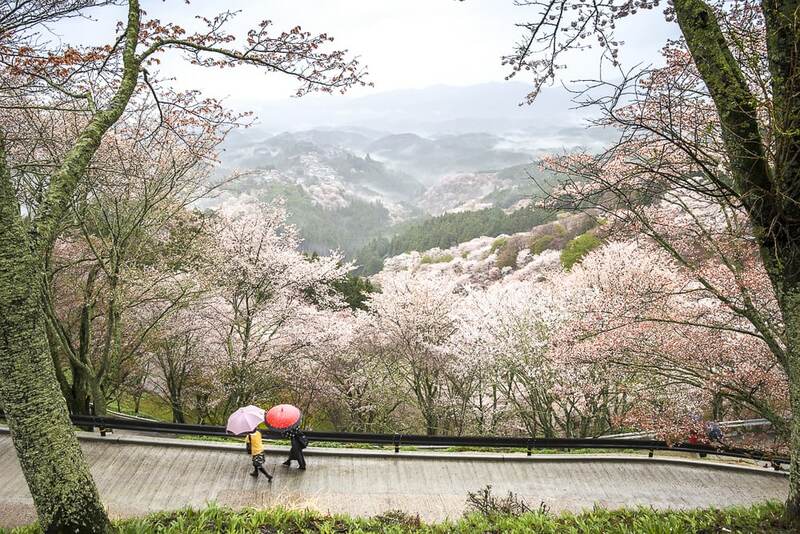 If you are serious about cherry blossom viewing, then you have to make a day trip to Yoshino, widely considered the best place to view cherry blossoms in all of Japan. A staggering 30,000 trees are planted on the mountain’s slopes and can be gazed upon from the various trails and roads on the mountainside. Yoshino is also rich in ancient culture and has been a pilgrimage spot since ancient times. 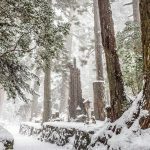 The mountain is included in the Sacred Sites and Pilgrimage Routes of the Kii Peninsula UNESCO World Heritage Site, along with Koyasan, the Kumano Sanzan, the Kumano Kodo Pilgrimage, and Tsuboyu Onsen in Yunomine Onsen village. 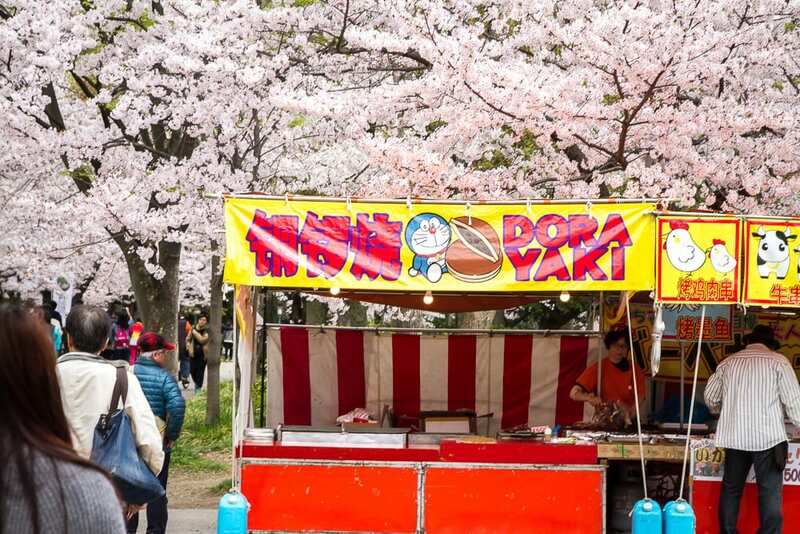 Check out this Yoshino cherry blossom and strawberry picking day tour from Osaka! Getting there: Take the Kintetsu line from Osaka Abenobashi Station to Yoshino, which takes about 75-90 minutes. If you want to travel by JR, you’ll have to transfer at Oji station, and the second leg won’t be covered by the JR pass. See more information here.